Why is grooming important for my dog? In short, grooming your dogs coat is essential to their health and well-being. Regular grooming keeps your dogs coat clean and manageable as well as keeping their skin in good condition. The chance for frequent “check over” opportunities means lumps, warts and other problems can be spotted sooner than they might otherwise be. Our dogs molt more when they live indoors with central heating, so removal of dead hair is important to prevent uncomfortable matting which can nip your dogs skin or in extreme cases cause sores. It also means less pet hair around your home! Dog grooming is said to relax both you and your dog and it’s a great opportunity to bond, by spending a little one-to-one time with them. 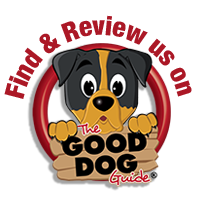 Why is professional dog grooming a good idea? 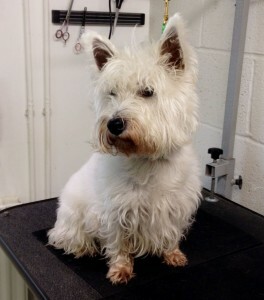 Professional grooming will enhance your dogs coat, allowing them to look their best. 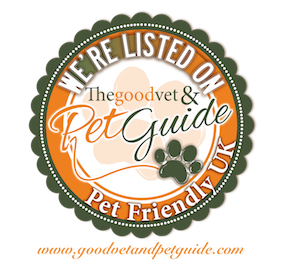 Certain coat types such as long and silky, double or very dense are best left to the dog grooming salon as professional equipment will be necessary to deal with their specific requirements. 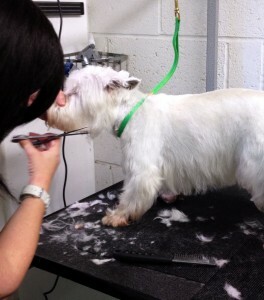 A professional groomer will have technical skills and they are used to cutting coats in difficult areas such as around the eyes or between the pads. Dogs can often be more cooperative in a dog grooming salon than they might be at home which means you have a well groomed dog without having a bathroom full of mud, water and dog hair! Those dogs with long coats or active lifestyles will require more frequent attention, but all dogs will benefit from a pamper now and then. A good groomer will take the time necessary to ensure that your dog is relaxed and enjoys the whole grooming experience. What if I have a new puppy? Firstly, let us say Congratulations! An early introduction to grooming is a great way to ensure that little paws are happy to visit the salon again. This is especially important for those who are likely to visit the salon frequently. 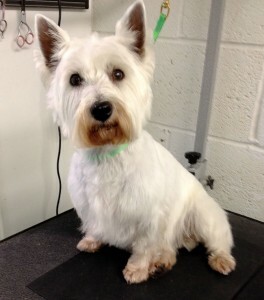 A warm bath, gentle brush and mini-groom of the essential areas is enough for a little one’s first visit, and they can then graduate to “big dog” haircuts as they get older. This was the first time we had left Archie and we were nervous as our previous dog really didn’t like going to the groomers! However, Archie was so happy to go in and he was greeted by a lovely set of staff. His appointment went well, Archie looks great and I bet he can’t wait to return! Doggy Days crèche provides supervised play and socialisation for your dog in a safe indoor play environment, so your dog has lots of indoor space to run around and get adequate exercise, whatever the weather.